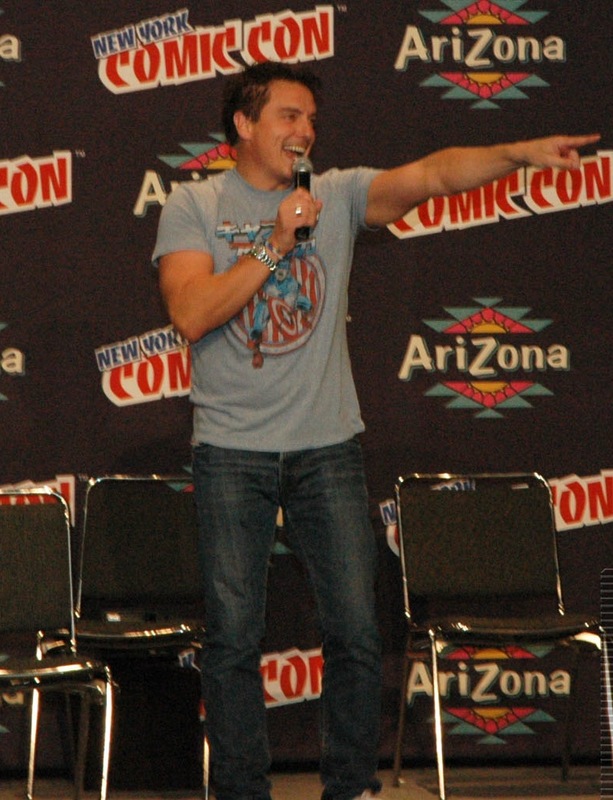 An Evening With John Barrowman at NYCC. It’s 6:30pm at NYCC and folks were either at The Walking Dead panel (which I am pretty bummed out that I missed) or the John Barrowman panel. Unfortunately, the two were at the same exact time, and it was a tough decision, but after that very quick hour with Barrowman, I knew I had made the right call. Before he began his Q&A session with the fans, he took out his tablet and announced that at every panel he makes a video to send to his mom & dad (cue the entire room’s “awwwww”). While he was attempting to set up the video on his tablet, he was still engaging the audience and cracking jokes because he knew time was precious at a large event like this. For the insane amount of people that attended NYCC this year, it felt like there wasn’t as many cosplayers as usual. That, or they were just lost in the crowds. Either way, the ones we DID see were a step above and beyond what we’ve seen yet. They’re getting better and better. UPDATED: NYCC COSPLAY!! Now with MORE pictures!! UPDATED!! NOW WITH MORE PICS! Both the easiest and most difficult post-con piece is the Cosplay gallery. Easy because I don’t have to write a lot, difficult because By Golly! did we take a lot of pics. Just one note, all these pics are ©Nerd-Base.com, if you see a pic of yourself you want taken down let us know (email: info@nerd-base.com), OR if you’d like to use any of our images on your blog, facebook, twitter, tumblr, ect, just be sure email us first, let us know, give us credit and send us a link. Thanks!